8 am - 8 pm, 7 days a week, year-round. Take our ''VIRTUAL TOUR'' on our website, listed below! 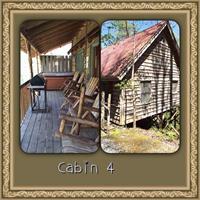 The Cavender Creek Cabins complex is North Georgia's premier full service cabin resort! Cavender Creek's quality cabins are set in the breathtaking natural beauty of the North Georgia Mountains on the banks of Cavender Creek (a crystal clear, gold bearing mountain stream) and blend a rustic setting with luxurious accommodations to create a unique atmosphere that will please even the most demanding guest! 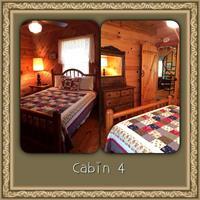 The cabins either overlook beautiful Cavender Creek or our well-stocked fishing pond. 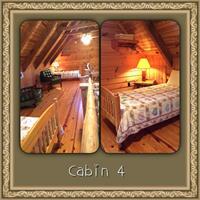 Built with seclusion and tranquility in mind, each cabin has a private deck with swings, rockers, and a gas grill. 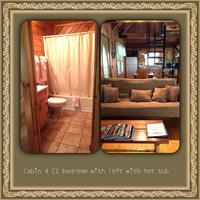 Most have private, outdor hot tubs. 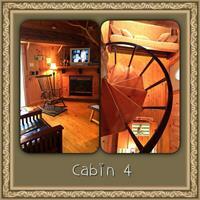 The tasteful interior decorating generates a warm home-like air. The cabins are fully equipped with everything needed from bedding to kitchen equipment to prepare meals from home-cooked to gourmet! Be sure to take our ''VIRTUAL TOUR'' on our website - www.cavendercreek.com. From the end of GA-400 N: Left on Hwy 60, 4.5 miles, R at 1st red light. Go 1 mile to 3rd red light and R on Hwy 52 EAST. 1 mile, then L on Rock House Rd. 1 mile, then R on Rock Tree Rd. Follow signs.